Most hip-hops fans see Tupac Shakur as a messiah, but is he worthy of the adoration? In an effort to answer that question, celebrated documentarian Peter Spirer gives us plenty of never-before seen footage, and an early glimpse into the rapper's young life when he was a writing poetry and honing his acting skills, as well as interviews with fellow artists and friends, including Suge Knight, Snoop Dogg, Shock G, Treach, and Big Syke. 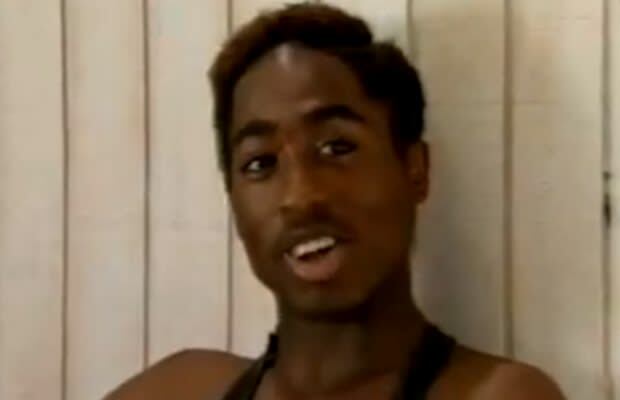 Plus, there's footage of 2Pac at the tender age of 17, which alone makes the film worth the watch. Shakur's rise to fame is painstakingly charted in Spirer's experienced hands, who does a good job of showing the multifaceted artist's humble beginnings and how the Black Panther movement weighed heavily on his beliefs. There's also attention drawn to how 2Pac's insistence on being authentic (being the man he claimed to be on his albums) lead to his death. Angel? Maybe. Hip-hop's savior in a time of need? Undoubtedly, a fact that Thug Angel ably illustrates.